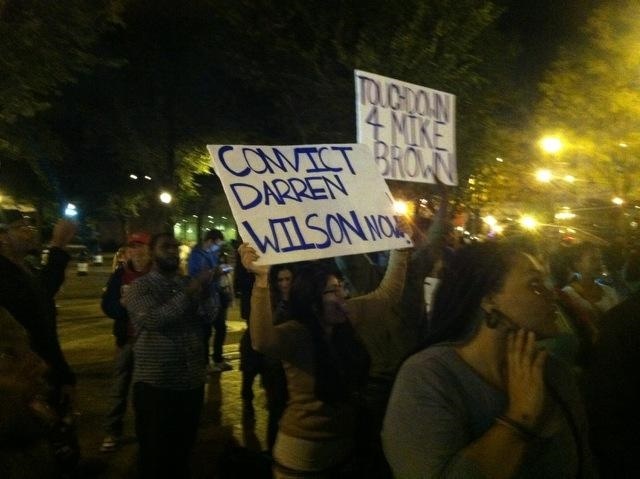 Ferguson protesters targeted the St. Louis Rams Monday night football game tonight. Several protesters chanted outside the game in downtown St. Louis. 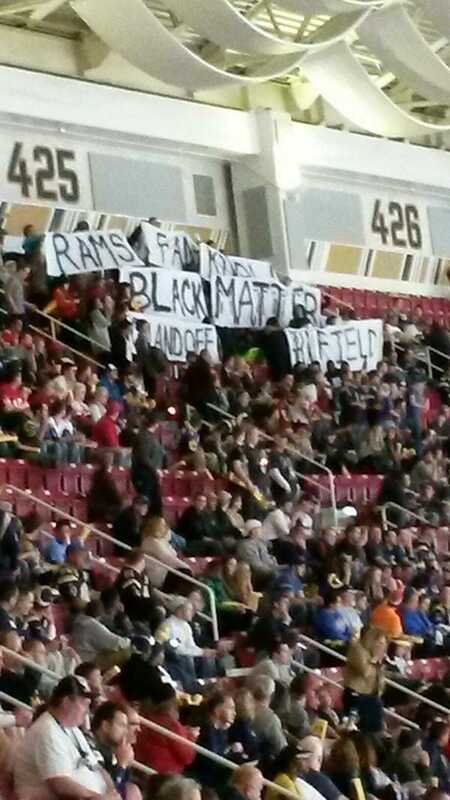 One Ram’s had absolutely has no idea who Mike Brown was. The protesters laid in the street with fists in the air for four minutes. One minute for every hour robber Mike Brown’s body laid in the street in Ferguson after he was shot by Officer Darren Wilson. The protesters also stood up and started chanting during the game. The crowd mostly ignored them. The protesters were chanting, “Shut it down” as the fans walked by after the game ended. The protesters taunted one drunk female fan after the game. Then they were off to their next street demonstration.